Fully-integrated engineering for three-phase renovation and expansion of corporate headquarters for a utility company. The scope included 92,000 sq. ft. of new construction and 70,000 sq. ft. of renovation. New areas include a 5,000 sq. ft. lobby, 80,000 sq. 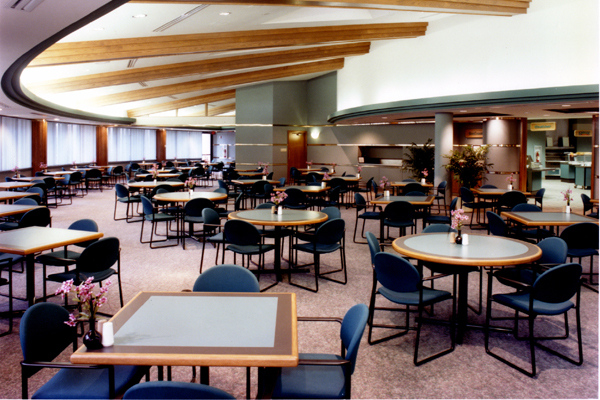 ft. multi-level office building, and 200-person, semi-circular corporate cafeteria with commercial kitchen and food court serving. Mechanical features include a partial thermal ice storage system to provide approximately half of the required cooling. Two chillers rated at 150-tons each are used to make ice during off-peak hours.